This page contains all the main Naples Tours. To the left (light orange) are the private tour from Naples, right (darker orange) the shore excursions from Naples port. May I remind you that if you do not find the tour you are looking for you can contact us on the request section to quote for a tour that we can build together for your Naples Custom made Tour. Enjoy searching for your perfect tour with us. A day of good food, the gastronomic traction and relaxation. 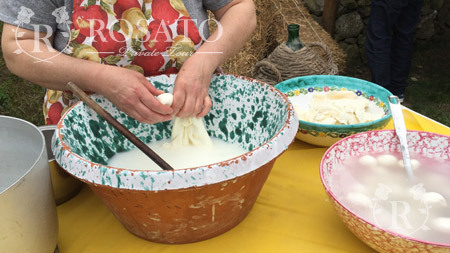 Our Gastronomic Tour from Naples will give you some fun and interesting cooking demonstrations that highlight how to produce mozzarella, extra virgin olive oil and ice cream. Do not miss the tasting of typical products such as bruschetta, pizza, local wine and limoncello. Be enchanted by the breathtaking scenery of the Amalfi Coast. 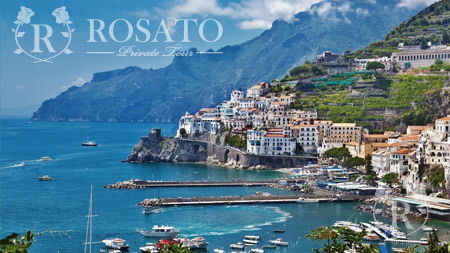 Our private tour Amalfi coast from Naples is the ideal excursion for those who want to spend eight hours in complete relaxation. You discover the vertical village of Positano, a beautiful fishing village with colourful houses and narrow streets. 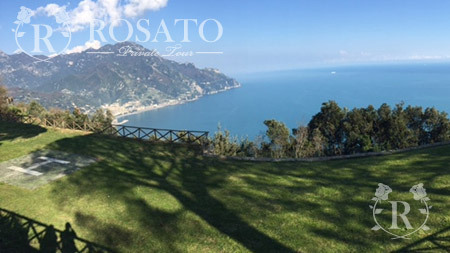 Amalfi, an ancient maritime republic that still fascinates for its long history and the wonderful Ravello with its terraces and its gardens. A unique experience that you won’t be able to wait to tell all when you get back home! 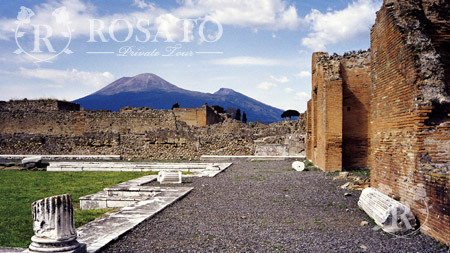 Our Private Tour Pompeii, Herculaneum & Vesuvius is dedicated to all lovers of history, culture and nature. 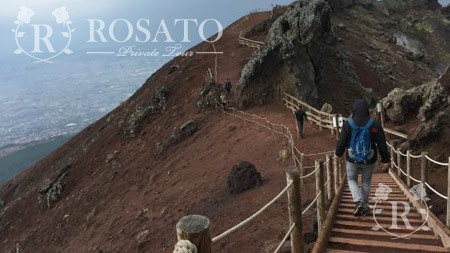 The program provides a fun walking tour in the natural park of Vesuvius and a guided tour to Pomepii and Herculaneum fascinating testimony of the Roman people. An exciting tour of immense cultural value. 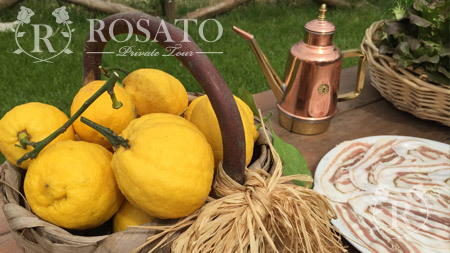 Our Private Gastronomic tour in a typical Italian family is in true Italian style culinary tour. In Italy we live to eat and our Gastronomic tour in a typical Italian family will take you to food heaven as you taste and learn the best of Italy and along the way you will see the breathtaking views of the Sorrento Peninsula and Amalfi Coast. I am leaving. I shall not forget Via Toledo, nor any other of the parts of Naples; to my eyes this city has no equal and is the most beautiful city in the universe." Stendhal. Naples is one of the most beautiful cities in the world, with an ancient history and endless traditions. Naples is the city of the colours, the pizza, the superstition, the Vesuvius, and the work and it is no coincidence the San Carlo Theatre is the oldest theatre in Europe. In Naples there is something beautiful everywhere you look but for obvious time restraints we will show you the basic steps to get a complete view of the city. To visit without a doubt is the historical centre, a collection of narrow streets that make up a Roman decumanus. In the old town there are many places of interest like the San Severo chapel where you can admire "The Veiled Christ" one of the most beautiful sculptures in the world, The Art Gallery of the Brotherhood of Monte della Misericordia which houses one of the most impressive paintings by Caravaggio, road of the cribs known as San Gregorio Armeno and the church of the souls in Purgatory, a place where death is venerated like the life. A few steps from Old Town is worth visiting the Duomo Napoli imposing building in neo-Gothic style which houses many relics of saints and the blood of San Gennaro. Adjacent to the cathedral is the Chapel of the Treasure of San Gennaro a wonderful place to have contained jewellery and precious that the nobles over the world donated to the saint as a sign of devotion. Some of the treasures of San Gennaro exceeds the value of the Vatican treasures. Do not miss the Castles of Naples: The Maschio Angioino and the Castel dell'Ovo, but also the Certosa di San Martino from which you can admire one of the most beautiful scenery of Naples. You can’t leave from Naples without tasting the real pizza. The pizza in Naples is thin with high sides, the dough is simple, made of only a few ingredients, water, flour and yeast. In Naples there are many different flavours of pizza, but the real Neapolitan pizza is the Margherita (tomato, mozzarella and basil). But Naples food is not just about pizza, entering any restaurant in the city you can taste cooked meat dishes to perfect fish dishes. We would certainly recommend the spaghetti with seafood or "seafood risotto" a dish made with rice, seafood, shrimp and calamari or the legendary pasta with the Neapolitan ragù, a sauce made with tomatoes and meat from the area, cooked together for several hours. A real delicacy! Finally you can taste typical desserts of Naples: the Baba and the puff served with limoncello of Sorrento.